There is no question that having the ability to protect your money from sale events can go a long way in keeping money in your wallets. This is especially true when you are a compulsive buyer and easily swayed by that red sale sign in the window display. You need to be in control of your finances as companies make the most of the sale strategy to get you to buy things. All year round, sale promotions never stop. From the start of the year all the way to Christmas season, there will be a lot of sale events from the mall and even with your favorite online shops. You will get various sale alerts on your phone, email, and even signages as you walk across the mall. In all these, you need to know how to manage your money well. Here are a few things you need to keep in mind to help you do just that. This is one of the most common mistakes consumers make and at times, should already be a given. However, there are still those that head out to shop without having a concrete idea what they want. This is not a good way to protect your money from sale events. The first thing to do is to find out what you need exactly. Do you need new shoes for your job? Has your trusted dishwasher broken down and you need a new one? Are you looking to change or upgrade your living room and need new furniture? Or are you starting a side business at home and need equipment such as a computer and printer? After you define your need, you will have an easier time identifying the items that you need to buy. Once you have an idea on what you need to buy, it is ideal to try and look for the store that carries it at the lowest price. This can be as simple as doing desktop research or even calling some shops to find out. Technology has made this chore a lot easier and there are also a number of online shops that sell anything from shoes to clothes and even home equipment. Taking time to check the prices from different sellers also helps you curb impulsive buying behavior. This way, you protect your money from sale events by having an idea what your budget needs to be when you shop. It is one thing to have a budget or even a list of things you need to buy and it is another to actually bring them with you to the store. If you are gifted mentally where you remember every single thing in detail then that is fine. Leave your list at home and shop from memory. However, if you are an average person, it is best to have a list and bring it with you. You can have an actual paper or put the list on your smartphone. This will help you protect your money from sale events. The important thing is to have it with you as you shop. For one, this will help guide you with the things that you need. It will give you an idea what you are still missing and more importantly, keep you away from things you don’t need. If it is not on your list, do not buy it. It is as simple as that. Couponing might be frowned upon by some people as an extreme way of frugality. However, the fact remains that it works and works well. There are other examples of how frugal spending goes overboard such as dumpster diving but using coupons is not one of them. Cutting out coupons for items that you really need and using them during sale event is a great way to save big money according to an ABC News article. There is a good chance that you have a credit card with you that you use when purchasing certain items that you need. From food to gas and even in paying utilities, you use different cards for each need. This is because you want to maximize the rewards that your card offers you. From discounts to rebates and even cash back on purchases. The same idea can be used not only to protect your money from sale events but to be able to take advantage of the rewards fully. However, you need to proceed with caution on this strategy. 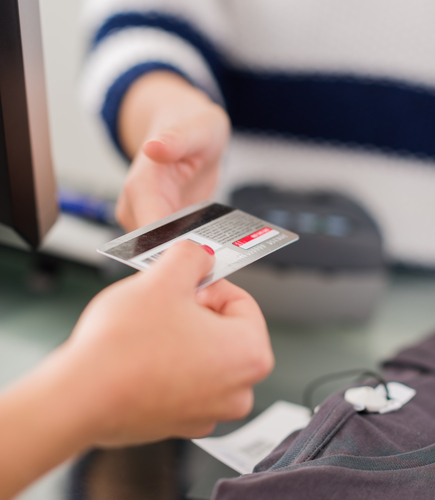 For one, using a credit card could give you a wrong sense of your budget. When that happens, you run the risk of overspending just to get the rewards. The interests, fees, and other charges at the end when you are unable to meet your payment will undermine whatever rewards you get from your card. This is a concept that might be a little hard to digest because the very essence of buying during sale season is to save money. Why then would paying full price for an item be any better? 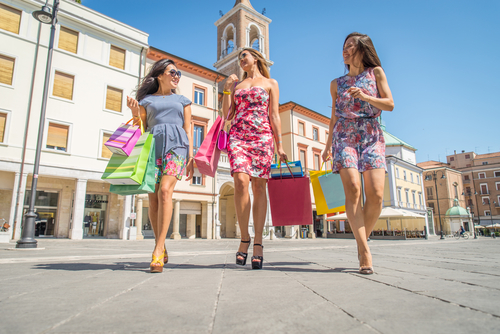 Well, this comes down to your ability to guard your spending habits once you start to shop during a sale event at your favorite shop. The reason for this is that there is a big chance that you might pick up more than what you need when shopping during a sale promotion. Buying the item at full price prior can protect your money from sale events because you might actually spend less compared buying a lot of smaller items during the sale. If you are able to control your shopping, then you can go ahead and purchase what you need. Otherwise, simply buy it in full. One of the most common characteristics of sale events is the time pressure attached to it. It will almost always be for a limited time only. This makes you buy the items and at times, in greater quantity than you need. However, one of the things you need to remember is that quality will always be better than quantity. This is one of the factors you need to keep in mind when shopping for less expensive items. It is always great to be able to save money when making a purchase which usually means opting for the item with a lower price tag. Take for example a light bulb where you can choose between one that costs $10 and lasts up to a year or a $6 version that will be good for 6 months. Choosing the cheaper option saves you $4 now but when you buy a new one after 6 months, that totals to $12 for the year for the light. If you have gotten the $10 in the beginning, you would have saved $2 in your budget. There are ways to help you protect your money from sale events which are increasingly becoming more important as shops are becoming more aggressive with their promotions. There is nothing wrong with buying items that are on sale. In fact, it is even a great money strategy. You just need how to maximize it and not fall into the trap of buying more than what you actually need.